Prince Norodom Narindrapong, son of King Norodom Sihanouk and Queen Norodom Monineath, died of a heart attack in his Paris home Wednesday, Prince Noro­dom Ranariddh said Thursday. Prince Narindrapong, 49, was a Khmer Rouge sympathizer and had been in conflict with his parents for many years, historian Raoul Jennar wrote in his book “The Keys of Cambodia.” He had been living in France and had not returned to Cambodia since the fall of the Khmer Rouge in 1979, according to Prince Ranariddh and Radio Free Asia reports. 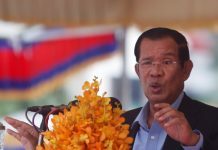 Prince Ranariddh, Prime Min­ister Hun Sen and French Presi­dent Jacques Chirac paid tribute to the prince following his death, and offered their condolences to the King and Queen. Prince Narindrapong had been in good health since 1997, Prince Ranariddh, his half-brother, told reporters. Prince Ranariddh said he could not comment on what contributions his half-brother made to Cam­­bodia. But, he said, the prince “always accompanied [then-prince Sihanouk]” while he was held hostage by the Khmer Rouge, along with the Queen and their other son, Prince Norodom Sihamoni. “When speaking about his thoughts, he was a strong revolutionary,” Prince Ranariddh said. 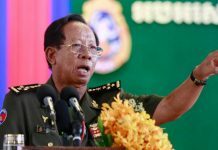 Prince Narindrapong had not met with his father since the fall of the Khmer Rouge, Prince Ran­a­riddh said. But, he added, the prince continued to speak to his mother on the telephone. The King and Queen are both saddened by his death, Prince Ranariddh said. In a letter to the King dated Wednes­day, Chirac expressed “great sadness” at the prince’s death and offered his sympathy and that of the French people to the King. “The attachment of the Cambo­dian people to their King will be a great comfort in overcoming this cruel test,” Chirac wrote. “In France also, many are equal friends of your majesty and share in [your] pain. Not all reactions to the prince’s death were so sympathetic. 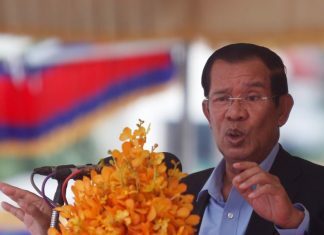 In a scathing report of the prince’s life and his connections with the Khmer Rouge, RFA described how he studied communism in the former Soviet Union in the late 1960s, developing a strong admiration for the ideology. In an interview two years ago, Prince Narindrapong told RFA that he admired the Khmer Rouge and that he opposed a Khmer Rouge tribunal. “I think Pol Pot was a patriot because Pol Pot liberated the nation from US imperialism,” he told RFA. Although he had a claim to the throne, Prince Narindrapong wanted to see the monarchy abolished after King Sihanouk finishes his rule, RFA said. His death is being investigated by the French police, RFA said. In his book “Brother Enemy,” Nayan Chanda describes life for the King, Queen, Prince Siha­moni and Prince Narin­drapong while they were held under house arrest in the Royal Palace. The Queen and Prince Siha­mo­ni “did the household chores— cleaning, cooking and some gardening” in the absence of servants. No mention is made of Narin­dra­pong’s contributions. After the fall of the Khmer Rouge in 1979, he left the country for China before moving to France. He died in the hotel room that he had made his permanent home, RFA reported.